When Meathead Movers was started, we trusted that we were committed to our company, our brand and our mission 100%. Sure, running a family-owned business can come with its challenges, but the benefits far out-weight the hurdles. Meathead Movers is at it again! The student-athlete moving company is collecting donations at each of its five offices and transporting them at no-cost to victims of the Camp, Hill and Woolsey Fires. 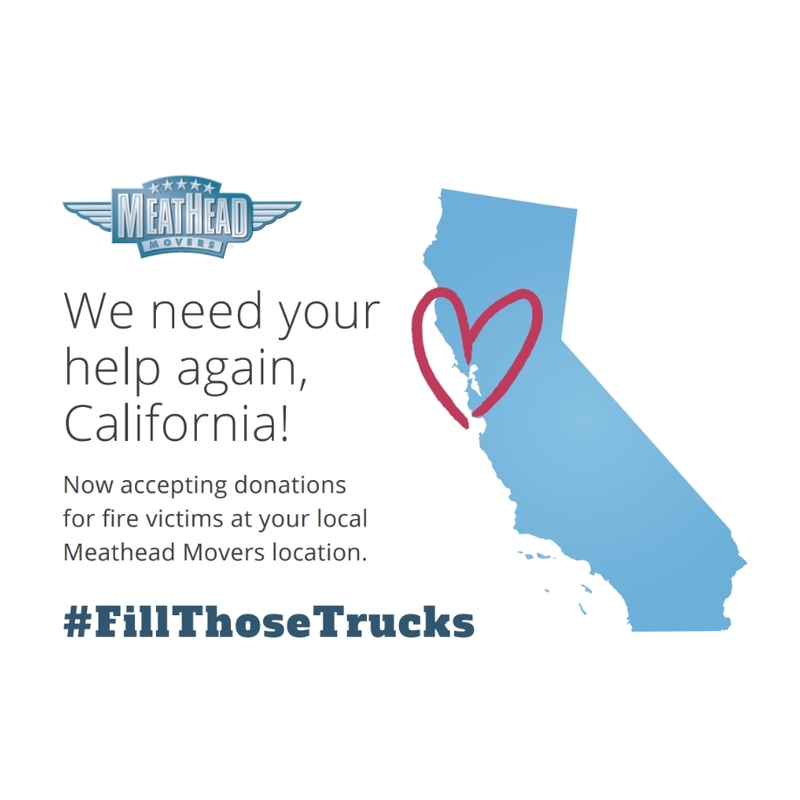 Meathead Movers asks the community to donate essential goods to fire victims at any Meathead Movers location. The Woolsey, Camp, and Hill Fires have devastated parts of Northern and Southern California. We have received so many messages over the last few days with one theme – how can we help? Here’s one way.